While there aren’t too many who would consider investing in Magic Leap, an AR business, due to recent press regarding lawsuits and whatnot, but Saudi Arabia seems to be pretty optimistic about the company and their ability. The Florida-based company hasn’t had any trouble attracting funding but the majority of this funding comes from two huge state-owned investment funds. Unlike in the past where Silicon Valley giants and VC’s were providing that funding. Saudi Arabia has invested $400m but naturally we suspect if there is another purpose for this investment, rather than as a business investment. Maybe the investors are looking to find more potential opportunities or gain access to the tech experts that are currently linked to Magic Leap. They could simply be trying to raise the funds’ profile too, but we feel they could have found a better company to invest in than Magic Leap. Think about it. The company was established in 2011 but to this date they have yet to produce an actual product. The work culture surrounding the company hasn’t looked too good in the media spotlight and makes one wonder what happens (or doesn’t happen) behind the scenes. The company’s reps aren’t helping much either. The CEO of Magic Leap, Rony Abovitz has been very vague on the specifics of the company’s technology but continues to talk it up and make it seem as though they’re on the verge of releasing something grand. Unfortunately, years keep passing and nothing has yet to emerge from the multi-billion-dollar company. So how does a tech company that hasn’t even released a product acquire such wealth? The publicity that Magic Leap first gained stemmed from a bogus video with bogus information. Unfortunately, this wasn’t obvious right away so when potential investors saw the video released by the company and their ‘potential’ in releasing some great AR stuff, they quickly started investing in the company. It’s still rocky as to whether or not this latest $400m investment is real or just another attempt to grab some PR; questionable or not. If you look for any mention of the company on Saudi Arabia’s The Public Investment Fund’s website or related publications, you won’t find a single one. 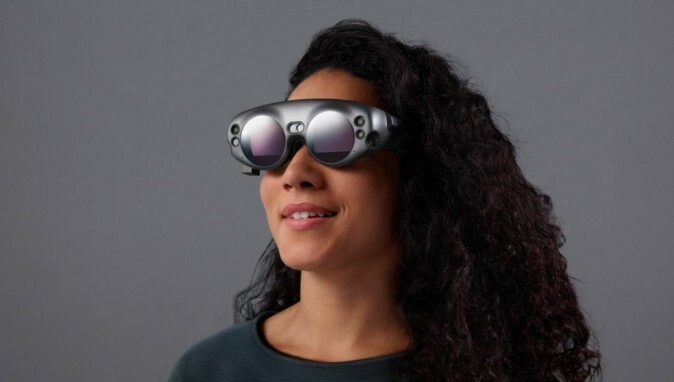 Magic Leap was established as a company that would produce an AR headset to provide users with an augmented reality experience that is out of this world. It would put realistic photo images right in front of you so it’s like they’re in the room with you; similar to virtual reality. Supposedly the headset will be released in Spring of 2018 but they originally were supposed to release it in early 2018. So it won’t be surprising if the release is ‘delayed’ once again come Spring.